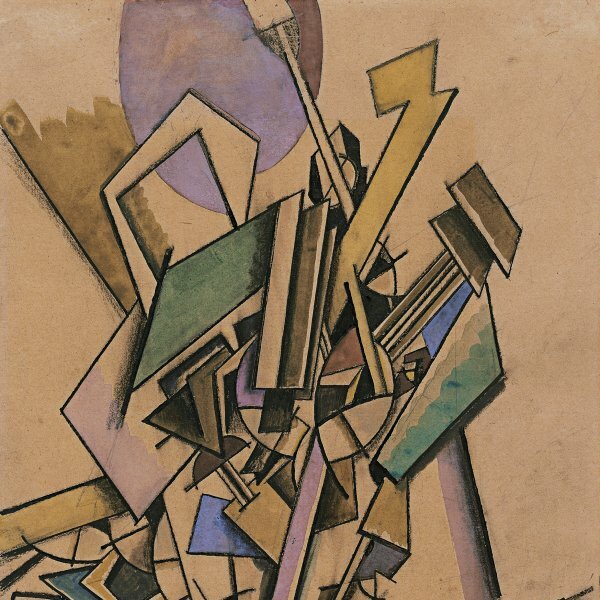 Of the Italian Futurists, Gino Severini had the most French connections. He lived in Paris from 1906 and in August 1913 married the daughter of Paul Fort, the influential editor of the journal Vers et Prose. During the autumn of 1913, and probably at the beginning of 1914, he worked on his text Les Analogies plastiques dans le dynamism, which explored “plastic analogies” and chromatic equivalences between different forms and phenomena. The Museo Thyssen-Bornemisza pastel, Woman at the Window, dates from the beginning of these investigations. 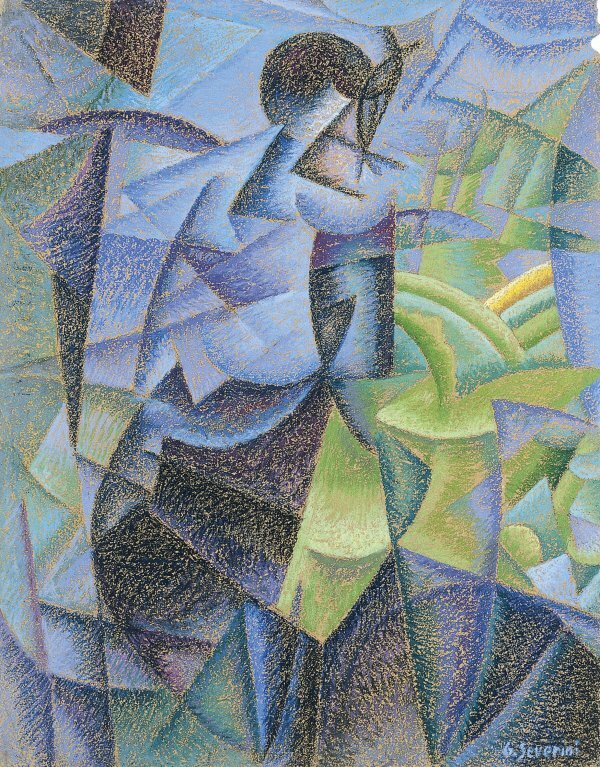 In the catalogue raisonné of Severini’s works, Daniela Fonti relates this pastel and another similar one to the oil painting Woman on the Balcony, signed and dated in 1914, of which only a black and white photograph survives, reproduced in Pierre Courthion’s monograph on Severini published in 1930. Like the other painting by Severini in the collection, Expansion of Light (Centrifugal and Centripetal), Woman at the Window bears certain similarities to Sea=Dancer in the Peggy Guggenheim collection. 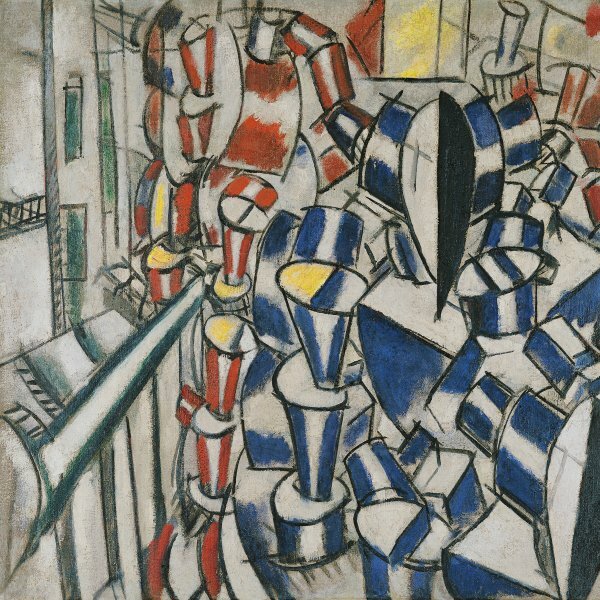 All these compositions share the same interplay between the planar and cylindrical forms borrowed from Léger and the colourful Orphism of Delaunay, and the same dissolution of volumes that characterizes Severini’s work during this period.